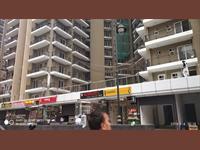 Looking for a property in Noida Extension? 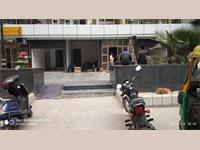 Have a property in Noida Extension? Noida extension is future growing area as there are many builders are constructing there project and possession will start from june 2015 , Rates are still under control for medium income group buyer as well as for investors. Noida Extension is the hottest sought after Delhi/NCR, with more than 24 upcoming residential & commercial projects,Noida Extension provides an affordable house and flats, the main advantage of Greater Noida west also known as Noida Extension. Very quick, close connectivity factor to Delhi NCR, to know more about Greater Noida west, a site visit is mandatory as words can't explain the tremendous upcoming potentiality of Greater Noida west, Noida Extension. 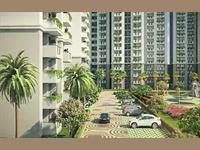 Noida Extension is located around 4-5 km from Sector 121, Noida. Spread over nearly 3,635 hectare, Noida Extension is basically a name given to certain pockets of Greater Noida by the builders present here. 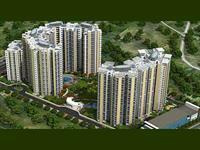 There are nearly 70-75 projects present in Noida Extension by renowned developers. Possessions for most of the projects are expected within a period of 2 to 3 years. 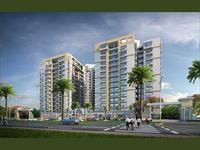 Most preferred configurations in the sector are 2 and 3 BHK. Noida Extension is a good option for investers and end users for investment in future noida extension will be India's no 1. city. 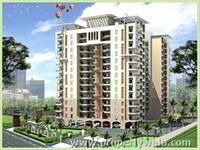 Noida Extension is located around 4-5 km from Sector 121, Noida. Spread over nearly 3,635 hectare, Noida Extension is basically a name given to certain pockets of Greater Noida by the builders present here. This was done to differentiate the location from Noida and Greater Noida. There are nearly 70-75 projects present in Noida Extension by renowned developers such as Amraplai Group, Gaursons Group, Antariksh Group, Nirala Group, Supertech Developers, Mahagun Developers and AVJ Group among others. Possessions for most of the projects are expected within a period of 2 to 3 years. 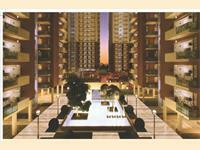 Most preferred configurations in the sector are 2 and 3BHK. 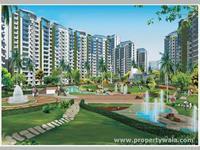 Working class of Delhi and NCR constitute the major part of the buyers due to affordable prices. 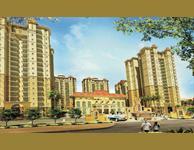 There is a blend of investors as well as end-users who are looking for property in Noida Extension. Lower price points in comparison to Noida and Delhi has made this a preferred residential option for both end users as well as investors. 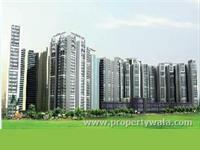 The area offers good connectivity to Greater Noida, Noida as well as Delhi. With the proposed metro line coming to Noida Extension by next year, there are bright prospects for better connectivity and demand in the area. Good connectivity to Noida, Greater Noida and Delhi. There are still apprehensions about projects being delivered on time. 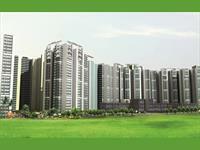 Noida Extension is around 4-5 km away from Sector 121, Noida and is spread over nearly 3,635 hectares. 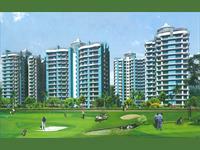 The nomenclature "Noida Extension" was initially used by builders to refer to certain pockets of Greater Noida. This was done to differentiate it from both Noida and Greater Noida, and also to make it clear to potential home buyers that it’s close to Noida. Once a bustling hub of residential activity, Noida Extension had come under litigation in May 2011 when the Allahabad High Court issued orders to hold up all construction work here owing to protests from farmers, the original land holders. Noida extension is only 1.5 km from Gaur City Chowk. Only 5 min. driving distance from Sector 78 proposed Metro Station and only 3 min. from FNG Corridor. Noida extension is the best locality for affordable residence and more commercial properties are also coming in Noida extension for daily use things. Noida Extension, Greater Noida is rated 8 out of 10 based on 19 user reviews. Have a good knowledge of Noida Extension? Share it and become a Locality expert. Panchsheel Greens-II is designed with modern technology and 80% open area with all luxuries.Panchsheel Greens-II have the advanced facilities than Panchsheel Greens-I. 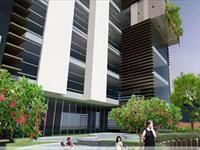 Strategic Royal Court is a beautiful project With stunning spread of architecture 2&3 Bhk with commercial shops are nestled in the serene locales and are blessed with an abundance of natural beauty. ATS Homekraft Happy Trails offers spacious and skillfully designed commercial shops and apartments. with well equipped with all the basic amenities to facilitate the needs of the residents. Antriksh valley is yet another spacious and elegant residential project by Antriksh builder at a finest locality of sector-1 of Noida Extension. 2/3/4 bedroom apartments with fully furnished AC guest rooms and business centre equivalent to 5 star hotel for resident guests staying at the club. Imagine living in 100% privacy and with all the amenities at your door step. 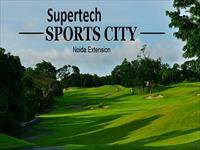 Supertech Limited presents Supertech Sports Village with 3 & 4 BHK villa available in Knowledge Park V, Greater Noida. 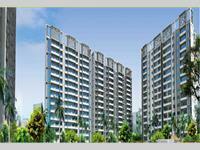 2BHK, 3BHK & 4BHK Residential Apartments in Noida Extension, Greater Noida. Supertech Limited is going to launch beautiful residential apartments in Supertech Sports City at Noida Extension, Greater Noida. 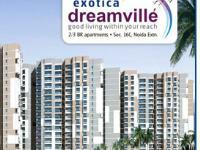 Exotica DreamVille offers 2 and 3 BHK Apartments that are 3-side open to allow fresh air and plenty of light. Supertech Ecovillage II is a great residential township in noida extension offers 2, 3 and 4 Bhk apartments that takes your comfort and convenience to a whole new level. BS Vaibhav Heritage Height offers 2/3/4 BHK apartments with all aspect outstanding features and located at Noida Extension, Greater Noida. 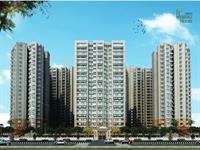 2 BHK luxury-apartments in Noida Extension. 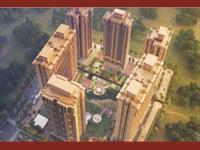 VVIP Homes is a luxurious project which assures world class standards of living with superior amenities and facilities. 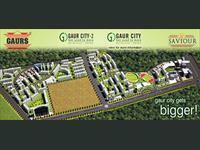 The project is set inside Gaur City and so you have all chances to enjoy your life perfectly. Offers you to choose from 2BHK, 3BHk & 4BHK Apartments and Penthouses, customized to suit your lifestyle and desire.It has outstanding facilities. Antriksh Golf Links offers 2, 3 bedroom apartments with great specification & world class amnesties.A dream of providing high standards of living environment has blossomed into reality. RG Luxury Homes is a super fine "Landscaped Podium Residential Complex " coming up in Sector 16B of Greater Noida, famously known as Noida Extension. luxurious apartments designed with perfection to have a fulfilled life. 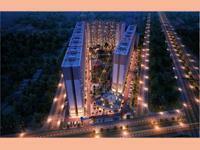 Soho Mascot Group has Launched their latest luxury project Soho Mascot Manorath Noida Extension. This master class cluster of luxury apartments offer 2/3 and 4 BHK apartments with amenities at the doorstep. 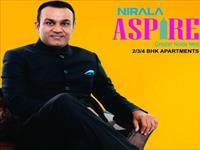 Nirala Aspire is an exclusive residential flats project in Greater Noida spread over an acre of 25 surrounded by IT parks with 80% open space, and launched with the concept of affordable housing to all. 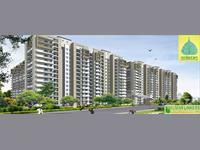 Nirala Estate is a housing proejct by Nirala Group at Techzone-IV, G Noida which offers 2/3/4 Bhk apartments varying in sizes from 915 sq feet to 2250 sq feet and it offers the highest standard of living with all moderns amenities. 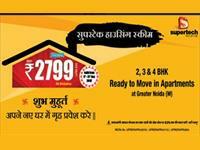 Gaur City 2 14th Avenue is one of the luxurious project of Gaur Sons and available in Noida Extension, Gr.Noida. Earthcon The Casa Royale is Dream project of one of the India’s fastest growing Construction company called Earthcon Constructions Pvt. Ltd. and Universal Contractors & engineers Pvt Ltd.
Mahagun Mantra Villaments is offering 3 and 4BHK Residential apartments in ideal location of Noida Extension Greater Noida West.